These are the terms and conditions which govern the Make the World a Better Place Design Challenge. This Design Challenge requires participants to use specified components to design and build an innovative and previously unpublished project on the theme of “making the world a better place.” Participants will be required to meet the Conditions for Participation. Grand prize, runner-up and third place winners will be chosen by the Judges. All prizes listed below. No other prizes are offered. 1.1. The following words and phrases are used in these terms and conditions and have the meanings given to them below. 1.3. Conditions for Qualification: in addition to meeting the requirements of these terms, all persons applying to take part in the Challenge (each one an Applicant) must complete and submit the registration form (Registration Form) on the Challenge site. 1.4. Conditions for Participation: in addition to meeting the requirements of these terms, all persons chosen as Official Challengers to take part in and participating in the Challenge (each one an Official Challenger) must use the IAR Systems’ Embedded Workbench development tool, Version 8.30; the Renesas Stream it! 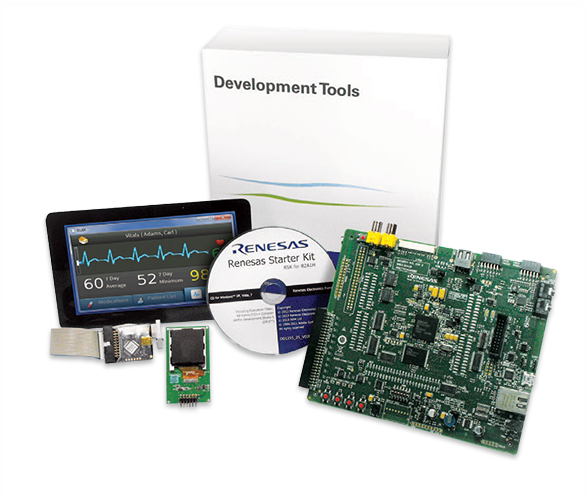 – RZ solution kit development board, and the FreeRTOS operating system. Contestants may use additional components at their own discretion, knowing that more expensive components could lead to lower scores. 1.5. 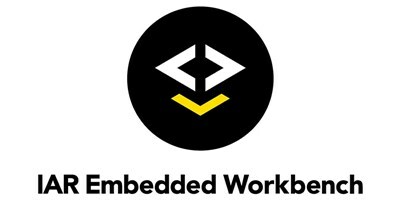 The approximate value of Embedded Workbench, Version 8.30 is $6000USD and the Renesas Stream it! – RZ solution kit development board is $450USD. 1.6. Terms: these terms and conditions which govern the Competition and to which the Organizer reserves the right to make changes from time to time and the latest version of these Terms from time to time will be posted to the Site. 2.1. As set out in these Terms, the Challenge is open to any natural or legal person, firm or company or group of natural persons or unincorporated body. 2.2. All Applicants must be aged at least 18 at the time of their application. c. Be in breach of any policy or practice of their employer. Some employers prohibit or restrict their employees from taking part in competitions such as these or receiving prizes under them and the Organizer respects those policies and practices. 2.4. The Organizer reserves the right to disqualify any Application made in breach of these Terms and to reject any Application which it reasonably believes may be or become in breach. The Organizer reserves the right to require evidence in such form as the Organizer may reasonably require of any Applicant’s compliance with any of these Terms and to disqualify any Applicant or Participant who cannot provide such evidence reasonably promptly. 2.5. Only one entry per Contestant is allowed. 2.6. Applications may not be submitted by an agent whether acting on behalf of an undisclosed principal or otherwise. b. Any employee, director, member, shareholder (as appropriate) or any of their direct families (parents, siblings, spouse, partner, children) (“Direct Families”) of the Organizer and Sponsors. 3.1. Each Applicant must fully complete and submit a Registration Form by the Application Close. 3.2. By submitting a Registration Form, each Applicant authorizes the Organizer to use his or her personal data (as defined in the Data Protection Act 1998) for the purposes of running and promoting the Challenge; authorizes the Organizer to copy, reproduce and publish their application should they be accepted as a Participant; will be deemed to have read, accepted and agree to be bound by these Terms. Applicants are advised to print and keep safe these Terms; licenses the Organizer to use the intellectual property in the Project (IP) for the purposes of this Challenge. As between the Applicant and the Organizer the IP remains owned by the Applicant; grants the Organizer the right to use his or her likeness, photographs, logos, trademarks, audio or video recordings without restriction for the purposes of Challenge or the promotion of it or the Site; agrees to participate positively in all publicity surrounding the Challenge; agrees to be responsible for all expenses and costs incurred by him or her in preparing for, entering and participating in the Challenge (save for any expenses expressly agreed by the Organizer to be borne by it in these Terms); confirms that he or she owns all IP used in his or her Project and indemnifies the Organizer from any claim by a third party that use of any material provided by an Applicant to the Organizer infringes the IP rights of any third party; agrees not to act in any way or fail to act in any way or be associated with any cause or group which would have a negative impact on the reputation of the Organizer and/or the Challenge and/or the Judges. d. Applications must not include or propose any of the following, the inclusion of which shall render any proposed Project ineligible and any application based on any such proposed Projects shall be null and void: projects or designs which relate to socially taboo topics, such as illicit drug use or sexual gratification; projects or designs that are or could reasonably be considered to be illegal, immoral, discriminatory or offensive as determined by the Organizer and/or the Judges; projects or applications in relation to them which if accepted would infringe or breach any of the policies or terms of access or use of the Site. 3.4. No proposed Project or Project may contain any of the hazardous substances identified by Article 4 of Directive 2002/95/EC of the European Parliament on the Restrictions on the Use of Substances in Electronic and Electrical Equipment ("the Directive") or the use of such hazardous substances in the in any such Project must not exceed the maximum concentration values set out in the Directive. 3.5. A proposed Project must not have been entered into any other competition, unless that competition has closed and the Project did not win a prize. 4.1. Finalists will be selected by the Organizer and Sponsor on the basis of the quality of his or her application and its adherence to these Terms. 4.2. The total number of Finalists selected will be at least the minimum number set out in condition 1 above but the actual number is at the sole discretion of the Organizer and/or the Sponsors, if applicable. 4.3. Applications describing the Projects selected for participation will be published on the Competition Site. 4.4. The Organizer will use all reasonable efforts to announce the Finalists and Winners as described in these Terms. 5.1. Projects must be submitted electronically to the Competition Site by Project Submission Close. 5.2. Projects must accord with the description and parameters for that Project set out in the application for that Project. c. any material or ideas which would infringe or breach any of the policies or terms of access or use of the Site. 6.1. The winner(s) will be selected by the Judges in their absolute discretion based on the Judging Criteria. Winners must meet all eligibility requirements of these Terms. There shall be such number of winners as the Judges shall determine. 6.2. The Judges’ decision is final and without right of appeal. The Judges reserve the right not to select a winner if, in their sole discretion, they do not consider any of the Projects to merit the Prize. 6.3. The Judges and the Organizer will use all reasonable efforts to complete judging by Judging and Voting Close and to notify the winner(s) via the email address provided by the Announcement of Winner Date. 6.4. Winners agree to take part in all publicity which the Organizer or the Sponsor wishes to use to promote the Challenge. Refusal to take part in any other form of publicity will mean that any Prize and title and status of Winner may be forfeited and the Judges may select another winner. 6.5. Details of the winners will also be published in the media. 7.1. Prize(s) must be accepted within 12 months of the date that the Organizer announces the winner(s). 7.2. If a winner declines or fails to accept a prize then the prize and title will be forfeited and awarded to the next appropriate Participant as determined by the Organizer. 8.1. The Organizer reserves the right to award prizes in accordance with condition 6.2. 8.2. Winners are solely responsible for all national, federal, state and local taxes, duties or other charges payable in relation to any prize(s). 9.1. The Organizer hereby excludes all and any Liability arising out of the competition or the acceptance, use, quality, condition, suitability or performance of any Prize, even where that Liability may arise from the Organizer’s negligence. 9.2. Nothing in these Terms will affect any Liability of the Organizer for death or personal injury arising from its negligence, for breach of Part II of the Consumer Protection Act 1987 (in the event that any entrant is entitled to claim rights under the Consumer Protection Act 1987) or for any matter in relation to which it would be illegal for the Organizer to exclude or to attempt to exclude its Liability. 9.3. Subject to 9.2, the Organizer or any of its directors, officers, and employees (together referred to in these terms and the ‘Associates’) makes any guarantee, warranty, or representation of any kind, express or implied, with respect to this Competition or the Prizes potentially available under it. Neither the Organizer nor any of its Associates shall be responsible for any Liability that may arise out of or in connection with person’s participation in this Competition. Any implied warranties of condition, merchantability or suitability or fitness for purpose of any of them are hereby expressly excluded. Wherever used in these Terms, ‘Liability’ shall mean any and all costs, expenses, claims, damages, actions, proceedings, demands, losses and other liabilities (including legal fees and costs on a full indemnity basis) arising directly or indirectly out of or in connection with the matter concerned. 10.1. The Challenge is organized and sponsored by the Organizer. The Organizer reserves the right to delegate all or any of its powers, rights and obligations arising in relation to the Challenge to any Associate and certain such rights and powers are assumed by the Organizer on behalf of itself and each Associate. Reference to “Organizer” shall be deemed to include reference to each Associate. 10.2. The Challenge may be terminated at any time if there are, in the sole opinion of the Organizer, an insufficient number of entries, or if the Applications are not of an appropriate standard for a competition of this nature. The Organizer has the right to cancel or suspend the Challenge at any time due to circumstances outside its reasonable control. 10.3. The Organizer shall have the sole discretion to disqualify (without correspondence or right of appeal) any Applicant it considers to be adversely affecting the process or the operation of the Challenge or to be in breach of these Terms or to be acting in a disruptive manner or with intent to annoy, abuse, threaten or harass any other Applicant or Participant. 10.4. The Organizer has the right to amend or add to these Terms from time to time. Revised Terms and Conditions will be posted on the Competition Site and it is a condition of entry to the Challenge that Applicants and Challengers agree to comply with these Terms and, if appropriate, such Terms as amended from time to time. 10.5. Headings are for convenience only and do not affect the interpretation or construction of these Terms and Conditions. 10.6. These Terms and the operation of the Challenge shall be governed by and construed in accordance with English Law and any claim or matter arising under these Terms shall be subject to the exclusive jurisdiction of the English courts.